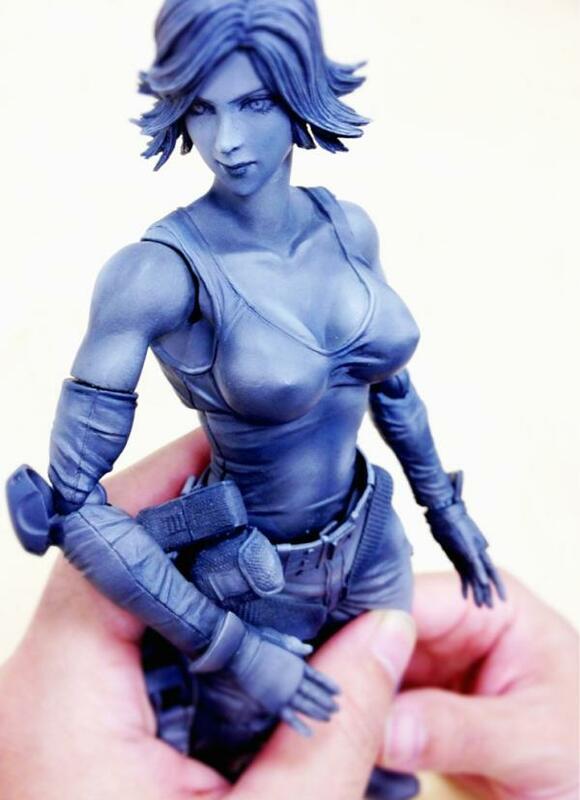 Hideo Kojima has tweeted a couple of prototype photos of the upcoming Play Arts Kai version of Meryl Silverburgh from Metal Gears Solid. I hope there's a no pants variant. Can't wait for these to be released! i enjoy the play arts figures...i just cant justify their 50 plus dollar price tag! im not getting the whole play art line, are they suppose to loo stylized!?! Play Arts Kai would be on my radar if they weren't out of scale with everything else I own. Man, I am just loving the PlayArts Kai figures more and more. Meryl is looking good. These MGS 1 figures would look amazing if they were paired up with the threeA Toys super detailed upcoming Metal Gear Rex Vinyl figure. Whoa!! that looks awesome. Do you know when or if it will get released? "The wait is nearly over, soon we will be offering Metal Gear REX, from the epic game series METAL GEAR SOLID. It goes without saying we are very proud to work with Team Kojima and Konami to bring a large size REX toy to the world! Check out some photos of the prototype ( sans legs, due to a typhoon yesterday, a fully made up REX wasn�t available for shots ), the full reveal is coming, with all the details! And don�t forget , Metal Gear RAY is not far behind!" ...and the link: threeA Online You just have to scroll a bit. Well, as of this morning there is an even newer update on the blog indicating that Rex is on sale in Januray 2012.